Arrive to the meeting a little early. Sign up with the clerk. Take a seat. Wait. And wait. And wait. Hours later, the governing board arrives at the agenda item of your interest. The presenter takes to the podium to introduce the topic to the board and the community. After some back and forth between board members and the presenter, the mayor finally announces the start of public comment and begins calling names off the list. Three minutes per person, loosely enforced (if at all). On controversial topics, this can go on for hours, all under the guise of public engagement. Tensions can run high in local issues, but lately the state of discourse has reached a sad low. When being the loudest person in the room and the most passionate advocate for your opinion becomes the objective at a public meeting, it’s a sign of a broken dialogue and a complete breakdown in civility. Our state of uncivil discourse has been a long time coming. In Chapel Hill, the discussions around Ephesus-Fordham, Central West, Obey Creek, Charterwood, and other planning processes and developments foreshadowed where we are today, with outbursts, disruptions, and other tactics being used to derail conversations and suppress diverse viewpoints and opinions. Now, in Carrboro, discussions about the construction of a multi-use path from Winmore/the Landings on Homestead Road to Chapel Hill High School have seen a return to a lack of civility. 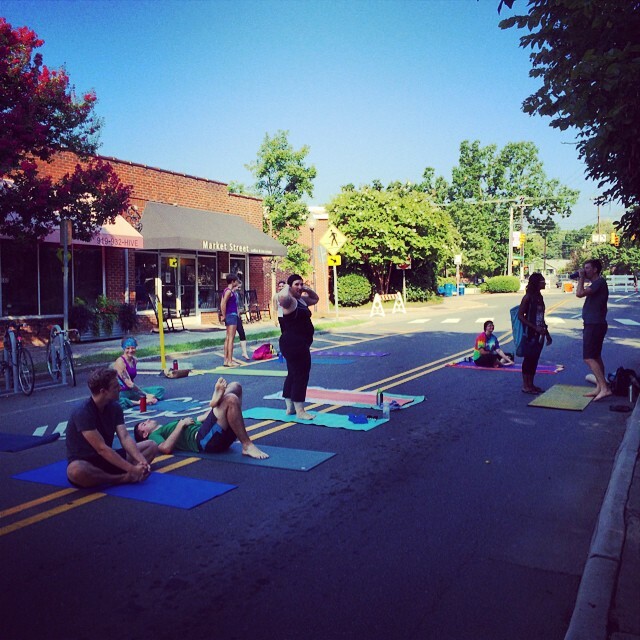 Last summer, Carrboro closed East Weaver Street in front of Weaver Street Market one Sunday a month to open it up for people to commune, linger, meet old friends and make new ones, and use the street for physical activities like yoga, cycling and soccer. In addition, Carrboro just held its fourth Open Streets event in April. Carrboro is just one of many communities across the country and world that have recognized the power and benefits of these Open Streets (or Summer Streets, for the summer months) events.